Among the anticipated Dodge vehicles crossing the block is a genuine, documented and unrestored 1971 HEMI Challenger (Lot #1421) powered by a 426ci HEMI engine with a pistol-grip 4-speed manual transmission. 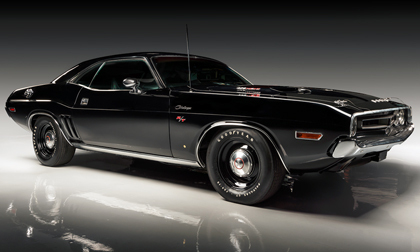 It is one of 70 HEMI Challengers produced that year and features an A34 Super Trak Pak, power brakes and bucket seats. A rare red with black interior 1969 Dodge Charger Daytona (Lot #1369) is one of 503 produced in early summer 1969 for the first NASCAR race at Talladega. It features its original 440ci Magnum engine with a 4-barrel carburetor and dual exhaust with a correct date-coded automatic transmission. The pickup, a staple of Dodge history, will also feature prominently at Scottsdale, including a 1941 Dodge Power Wagon (Lot #1311.1). The custom-built Military Power Wagon is nicknamed “Full Metal Jacket,” and features smooth seams and a full custom Brazilian hardwood bed accented by hand-brushed nickel. It is powered by a 3.9-liter 4BT Cummins diesel engine with an HX35 turbo and backed by a TH350 automatic transmission. A stunning matching-numbers 1948 Dodge Power Wagon Pickup (Lot #1028), finished in green and black with a beige interior, is powered by a 230ci inline 6-cylinder engine. The restoration has been geared towards originality and everything has been rebuilt or replaced with vintage Power Wagon parts.